There are a lot of unknowns about the upcoming STAR TREK: DISCOVERY series, not least among them the precise setting and direction of the series, but also the titular starship and its commanding officer. Captain Lorca was notably absent from all previous promotional materials. Until now. 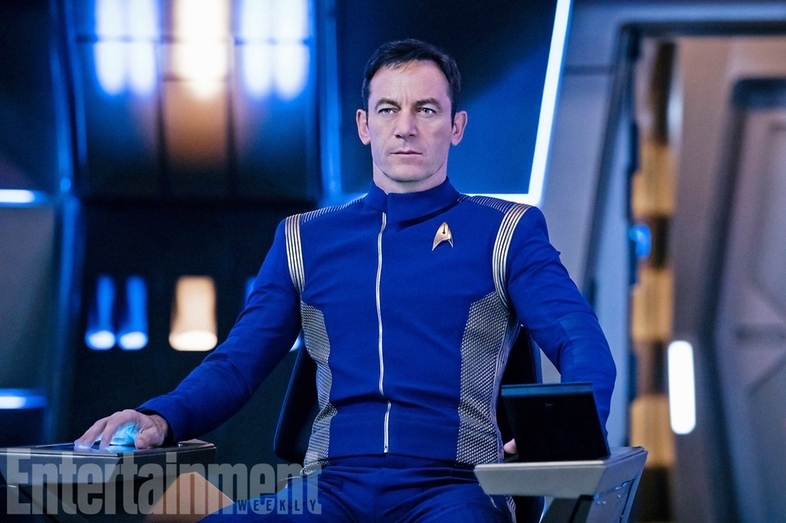 Entertainmentt Weekly unveiled the first image of Jason Isaacs in character as Gabriel Lorca on the bridge of the USS Discovery. It’s not much, but at least it’s something, and perhaps it will signal an opening of the publicity floodgates and some real answers to fans’ questions.